When it comes to promoting an indie book, you don’t have a whole marketing team behind you like a traditionally published author does. Authors on contracts with publishing houses generally have a whole campaign developed for them, not only saving the author time and money but also potentially leading to a wider reach for the book. But don’t abandon all hope, indie authors! Times are changing in the self-publishing sector. Nowadays, with the right marketing and promotion tactics, you can gain an equal (or even wider) reach for your book. And one of the most effective ways to do this is by seeking book reviews. They establish you as a credible author and publisher in a competitive marketplace. 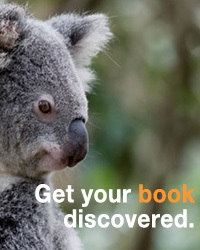 They help introduce your book to a wider audience of readers. They play a key role in the book buying process, especially on platforms like Amazon. They are an effective tool to use in your own marketing and social media promotion of your book—you can link to reviews, quote from them, and so on. Once you understand just how important indie book reviews actually are, it’s time to learn how to source them. Here are our five top tips for getting reviews for your indie book. While there are many professional book review avenues out there, we’ll be focusing largely on reviews from book bloggers here. Book bloggers are by far the biggest source of reviews for many genres and styles of books—speculative fiction, romance and young adult (YA) in particular. There’s a rich online community of people who are passionate about their particular genre or category, and who regularly read and review books on their established blogs and websites. Google ‘[genre] + book blogger’. Searching ‘YA fantasy + book blogger’, for example, comes up with a huge number of results—both direct links to blogs and lists of bloggers compiled on other sites. Explore book communities on social media. Twitter and Instagram, in particular, are full of book bloggers (or ‘bookstagrammers’ for the latter). Try searching hashtags like #bookblogger, #bookreview, or genre—specific hashtags like #romancebooks or #YAfantasy. Search lists of indie reviewers. 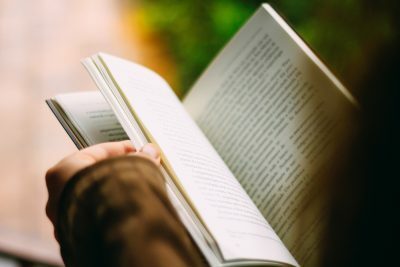 Some book bloggers only review traditionally published books, so consulting lists like this one can help direct you straight to bloggers you know will be interested in an indie book. Make a list of any book bloggers you think might potentially be interested in reading and reviewing your book. Then it’s time to move onto the next step. Once you’ve explored the book blogger community and discovered the huge number of blogs there are, it might be tempting to send out a mass email seeking book reviews from every single one. But trust us: you don’t want to do this. Only choose to approach bloggers that are relevant to your book’s genre/style. Approach each blogger individually, and aim to build a genuine relationship with them. If you’re approaching a blogger, make sure you’ve familiarised yourself with their blog. Book bloggers are busy people, often with backlogs of dozens of books they’ve been sent for review. If a blogger is sent an obvious ‘send-to-all’ review request, or if the book in question doesn’t fit with the genre or style of books they usually review, you can guarantee that request will be sent immediately to the trash. Most book bloggers will have a review policy on their site. Make sure you read it! As we mentioned above, some bloggers don’t accept self-published books for review. Others might be temporarily closed to reviews, or might only accept certain types of books. All this will be disclosed in their review policy. When choosing bloggers to approach, don’t just skim their policy section; you need to actually read their blog and familiarise yourself with it. Read their ‘About Me’ section and their past reviews. Check them out on social media. Try to get to know what type of blogger they are and what books they like. After you’ve done all this, if you’ve determined that your book fits in with a particular reviewer’s blog and policy, approach them with a personalised email or contact form submission. It’s a good idea to be prepared (preferably before even contacting any bloggers) with a book review kit, containing everything the blogger might need to review and feature your book. Copies of your book in different digital formats, so the reviewer can choose their preferred format—e.g. PDF, mobi, ePUB, etc. You can also choose to offer physical copies for review, but do keep in mind the costs associated with this. High-resolution images of the book’s cover and of you, the author. A copy of your author bio and any other necessary information about your book—release dates, links to purchase, etc. You might even like to consider having ARCs (advance reader copies) to offer for review. These are copies of your book that are sent out early—preferably a few months before publication. Pre-publication reviews can really help to generate buzz and anticipation for your book and increase sales in that all-important first week or two. So! You’ve found some reviewers who are interested in your book, and you’ve sent them a copy, plus all the additional material they need. Now it’s time to wait. This is possibly the hardest part of the book review process. Waiting around for reviewers to read your book, compile their thoughts and finally publish their review can be nerve-wracking, especially if this is your first experience publishing a book. However, there are some things you can do to make the process easier. When you’re initially liaising with a reviewer, ask them for an estimate of how long it will be before their review is published. Many reviewers will have time frames they stick to, which can make waiting a little easier. However, if your reviewer can’t give you a time frame, or if their stated time frame has elapsed and you haven’t heard anything or seen their review go live, it’s OK to follow up with them. Don’t pester them constantly, or follow up unreasonably early. But do keep a record of when you sent them the book, and when a reasonable amount of time has elapsed, you can send them a gentle message to check in with their progress. Once a blogger’s review of your book is published, make sure to thank them! This is extremely important. They’ve devoted their own time and effort to reading and reviewing your book, and you should show them your appreciation for that. Also return the favour by sharing their review with your own readers and social media followers, and finding other ways to support them if you can, such as engaging with or promoting their other content. We’ve mainly discussed the book blogger review route so far, but it’s important to remember that you don’t have to rely solely on them to review your indie book. Reader reviews are just as valuable, especially on influential platforms like Amazon and Goodreads! Regularly remind your readers, social media followers and author newsletter subscribers that if they enjoyed your book, it would help you out a great deal if they left you a review on one (or more) of these platforms. Even if they just leave a positive rating, rather than an in-depth review, it will help to boost your book’s overall score and presence on the sites. If people have bought your book through Amazon, their review will be marked as an ‘Amazon Verified Purchase’ review, which are often lent more credence. So, if you’re selling primarily through Amazon, really try to encourage your purchasers to leave a quick review if they liked your book. Reviews won’t contribute to your chart positions on Amazon, but the higher your book is rated, the more likely people are to purchase it—and the more sales you get, the higher your chance at becoming an Amazon Bestseller. This article was originally published on Writer’s Edit. The author, Claire Bradshaw, is a freelance writer, editor and proofreader. As well as contributing writing and self-publishing advice articles to Writer’s Edit, she enjoys working with indie authors to perfect their manuscripts for publication.